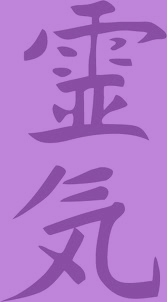 Reiki is a Japanese technique for health, relaxation & that also promotes healing. It is given by laying on of hands on different areas of the body for so many minutes. The channel for this form of healing will visualise Reiki symbols during the treatment. It is based on unseen life force energy that flows through us. If one's is feeling low, and the feeling of being out of sorts then we are likely to get sick or feel stress, our "life force energy" needs balancing and replenishing to become more healthy and happy. While Reiki, is not a religion, you do not need to have a faith it is spiritual in nature, as we are spiritual beings in resonates with us. It has no dogma, the energies flows from the practioner to ourselves in a very relaxed atmosphere. Reiki will work on us all regardless if you believe it or not. Reiki can be used on Humans, animals, plants also the food and water we drink Because Reiki comes from Divine energy, the universe, God, and you can have a very profound experience from receiving Reiki. Reiki is a simple, natural and safe method of spiritual healing and self-improvement that everyone can use. You will not be asked to remove any clothes only perhaps an outer garment ie: coat/jacket so that you can relax and enjoy the healing energies. You can receive Reiki whilst lying on a couch or while sitting in a chair. It has been know to help a wide range of ailments, working on the physical, mental, emotional or spiritual conditions of ourselves and can create a beneficial effect. Reiki is complementary and works in conjunction with all other medical or therapeutic techniques to relieve side effects and promote recovery. Both Malcolm and Lesleigh are Reiki Masters and are available to administer Reiki by appointment. There are ten different weavers in all. The colours of the rainbow (red, orange, yellow, green, light blue, indigo, and violet), clear, rainbow coloured (in traditional chakra colour order) and seven ray (rainbow colours in the order of the 7-Rays of God colours) coloured. The colour of the Etheric Weaver resonates as a form of colour healing; this has been found to be very vitalizing for the many different needs and qualities of healing that the individual colours resonate with and bring into balance. If you would like a treatment, please contact us. Are both Etheric Weaver practioners. If you want to explore this new healing technique, Lesleigh or Malcolm would be happy to arrange an appointment for you. The session is normally 1 hour, but you initial consultation would be could be slightly longer. There is no need to remove any clothing and the treatment is very relaxing. Please note the Etheric Weavers contain rare earth magnets and should not be used within 6ft of a person fitted with a pacemaker or any other form of electrical implant or device for medical reason of any kind. o heal yourself simply weaver your hand with the intention, as it represents your entire body or weaver a specific spot that needs physical healing. o weaver another person, simply start at one side by their foot and allow the weaver to move slowly up the body to the head and then back down the other side to the foot once again. Violet - Aligns to the 6th Ray of the Solar Plexus of Devotion and Reverence. It heals the emotional attachment of desires and obsessions. Releases the Astral nature of Hate and Aggression to be transformed into Soulful Love. Indigo- Aligns to the 7th Ray and the Sacral Centre - the sexual Centre of Relationships. This Weaver helps to relax and increases self control. Helps to increase communication on all levels and helps one to learn to forgive and forget the past negative relationships that block the ability to be open to new relationships that are loving and supportive, rather than attract negative emotionally non supportive relationships. Light Blue - Aligns to the 2nd Ray of the Heart Centre of Loving Wisdom and Understanding. This increases the Natural Integration of ones Soul and the Higher Mental Clarity that stimulates the Spontaneous Healing from Love in ones Mental, Emotional and Physical Bodies with the Light of the Soul. It also helps to heal mental criticism and Fear. Green - This helps to release the Concrete Mind and increases a more open mind that can decrystalise the lack of ability to realize a greater truth. It aligns to the 5th ray of the Brow Centre of Revelation. It helps to relax the Mind, Emotions and Physical body while providing Balance. It stimulates the natural Magnetic healing abilities latent in all of Humanity and Animals. Yellow - Aligns to the 3rd Ray of the Throat Centre of Creative Active Intelligence. It promotes mental Activity of Creative thought, balances the nerves, Stimulates the healing of wounds and skin problems as well as balances the overly active Mind. Red - Aligns to the 1st ray of the Crown Centre and the Will of God. It helps to stimulate the ability to trust ones choices in life. It revitalizes the Glands and Immune System and strengthens the ability to be more courageous in life. Rainbow - The 7 Colours provide the full spectrum of Colour Therapy. It greatly balances the Body, Emotions and Mind. It releasing the past that blocks the ability to be spontaneous and helps to detoxify the Blood from impurities. It also promotes the releasing of impurities while dieting or exercising. Seven Rays of God - Each Colour esoterically aligns the Upper and Lower Chakras, healing the Lower Nature of Personality and increasing the Soul nature of Love. It helps to prevent Psychic Attack and Harmful Relationships. Clear - This helps to increase the higher levels of Being, which includes the ability to be less attached to expectations and outcomes, helping the natural Intuition of Trust, and the ability to Listen, to be more aware. We are stockists of the Etheric Weavers for more information contact us. How does the Bio-Body Cleanser® work? The Bio-Body Cleanser® uses water to effectively remove internal toxins using the sebum membrane of the feet and skin as toxin eliminating channels. The Bio-Body Cleanser® has been specifically designed to promote toxin removal thereby helping the immune system by reducing the cleansing workload that it would have to otherwise carry out on its own. A series of treatments with the Bio-Body Cleanser® Microcomputer Ion Purification and Toxin Removal Foot Spa can help develop good health and lead to improved quality of life. Because it assists in restoring the body’s vitality against environmental toxins by eliminating chemicals taken in from drugs, environmental pollution, foods (particularly processed foods and meats), and drinks. It is well known and well documented that toxins accumulated within the body can be the underlying cause for many health related problems. Removes toxins and body waste products which can cause health problems. Is an Immune System Booster. To Balance the Immune System. Positive effect on weight loss (In conjunction with a balanced diet). Headache Relief - Assists in clearing up headache problems. Slow down ageing and improves the body flexibility. Faster Recovery Time from Disease and Injury. To Reduce Inflammation and Unwanted Fluid Retention. To clear up bad skin problems. You will be seated comfortably with you feet in warm water and you should feel relaxed throughout the treatment. Please note no everyone’s water colour will be the same and this is an example. ions (acid-forming) and negatively charged ions (alkaline-forming.) The body continually strives to balance pH. When this balance is compromised many health problems can occur. A saving of £50. (If home visits are required there will be an additional small charge for travelling and the time taken). To obtain maximum benefit from a Bio-Body Cleanser® treatment, it is advantageous to have a series of appointments . Important notes If you are on medication, then you are advised to consult you doctor before committing yourself to treatment, also please ensure that you have had plenty of liquid in-take, as the treatments can dehydrate the body.